You are viewing the archive for the ‘Food’ category. Tomatoes are one of my favorite fruits/vegetables*. 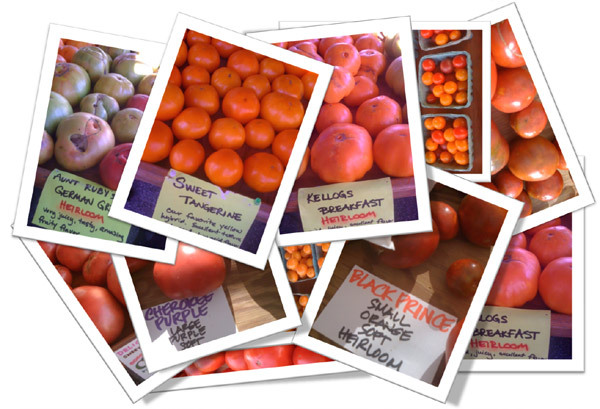 In recent years, heirloom tomatoes have become popular in farmers market. 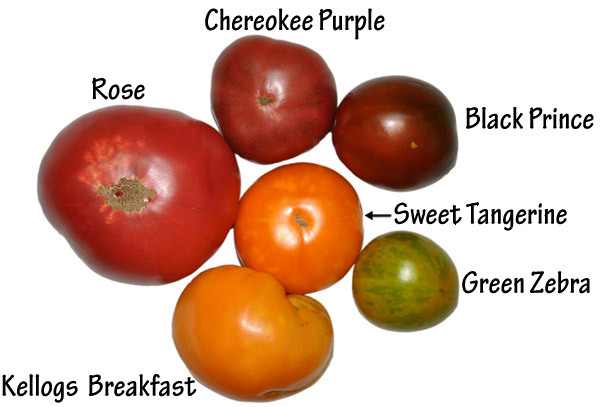 Heirloom tomatoes are open pollinated variety (cultivar). Open pollination means that the tomatoes are pollinated using natural pollination by insects, birds, or wind, and were harvested in a traditional manner — the way we used to grow food before its modern mass production using commercial agriculture. Nearly every tomato vendor in farmers market offer sampling of some of their heirloom variety, often with a dash of salt. Beside their flavors, one other thing that I love about the farmers market tomatoes are lack of annoying fruit stickers. Sometime those stickers can get really sticky to fruits and vegetable and hard to remove. Off on a tangent, the best way to remove the fruit or vegetable stickers are when they are dry. 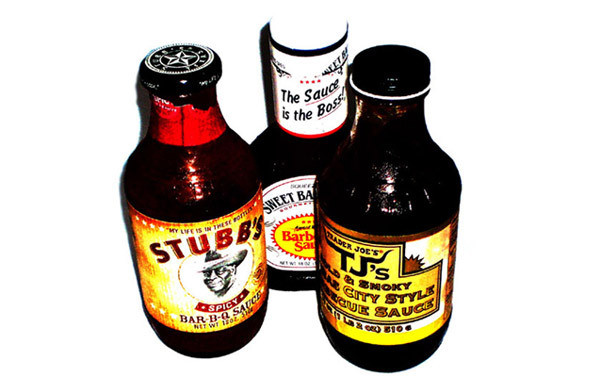 You can also use some sort of oil to remove those stubborn sticker residue. 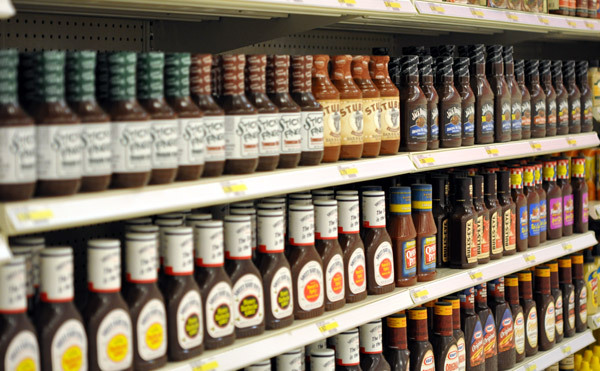 Most food grade glue used in sticker are non polar and dissolved by non polar solvent such as oil. 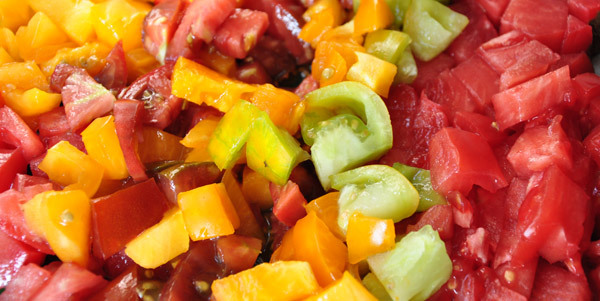 All you need is fresh tomatoes in season to make a healthy and flavorful salad. I chose six cultivars of heirloom tomatoes from my local farmers market. They were; Black Prince, Chereokee Purple, Green Zebra, Kellogs Breakfast, Rose, and Sweet Tangerine. My heirloom tomatoes came from two local farms, Potomac Vegetable Farms and Wheatland Vegetable Farms. Even very similar looking tomatoes could have drastically different flavors. The pineapple color kellogs breakfast had sour taste but similar looking sweet tangerine was full of sweetness. I paid attention to get an array of flavors and color. 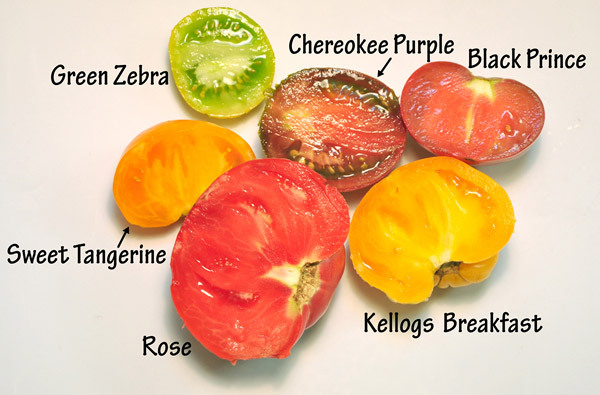 In tomato salad, I tried to balance different flavors, such as sourness of green zebra and black prince were balanced by dark red chereokee purple and rose. 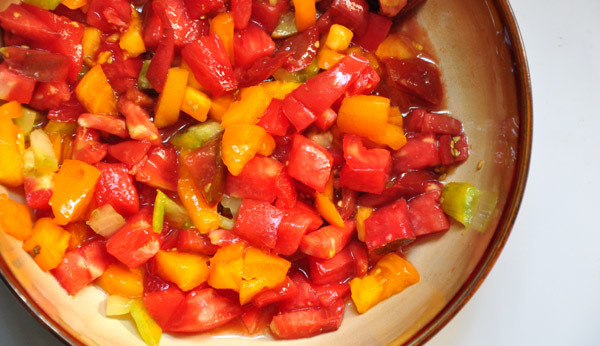 My recipe of simple tomato salad consisted of chopping the tomatoes and lightly salting them. Enjoy the fresh heirloom tomatoes when they are in season! * Culinarily speaking, tomato is a vegetable and botanically, it’s a fruit because it contains ovaries of plant with its seed. Out of sense of adventure and to quell my curiosity, I picked a can of Goya black beans 10 years ago. Since it had just two ingredients, black beans and salt, I cautiously tasted the frijoles negros right out of the can to determine spices and other aromatics to add. I was taken aback by its rich meaty mushroomy flavors and instantly fell in love with those minimally cooked black beans. Canned black beans have been part of my staple diet since then. 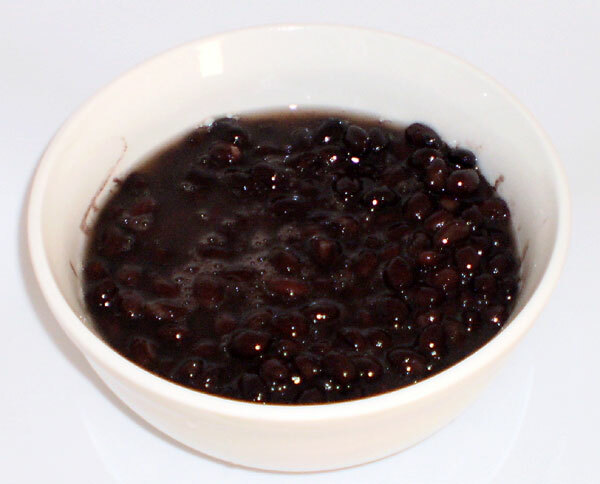 Often known as turtle beans or Cuban beans, these black beans are easy to make, tasty, cheap, and universally liked. You can eat it right out of the can; it’s relatively healthy, and can be served with enthusiasm to a few vegetarians friend I have. One of my favorite vegetarian meals is, rice and black beans served with fresh tomato salsa on side. 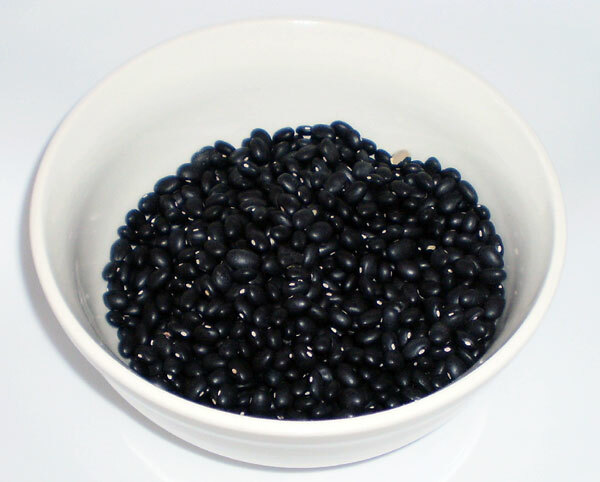 Black beans are kidney shaped shiny black colored beans found rarely outside its native United States, Mexico, Cuba and some parts of Central America. 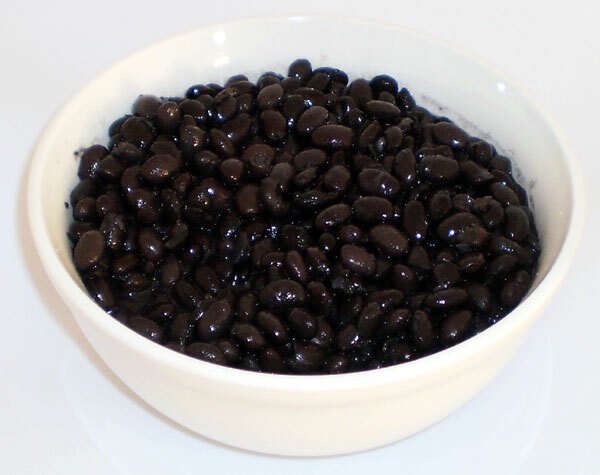 Black beans are traditional staple diet in those regions, where it is served as a side dish as well as in burritos, enchiladas, soups, and salads. During my last trip to a grocery store while I was mindlessly putting cans of Goya black beans in my shopping cart, I noticed bags of dried black beans. How difficult would it be to make these dried black beans? I can custom cook my black beans and add my own culinary signature to it. So I decided to buy a bag of dry black bean and a can of black bean for comparison. This is how I cooked dried black beans. 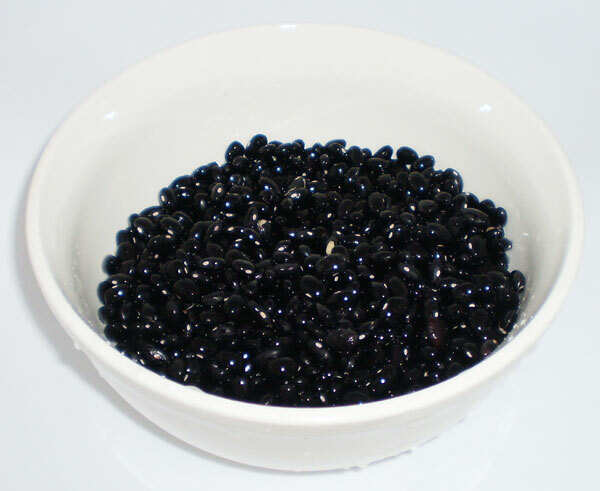 Look over the dried black beans to find any foreign substances such as small stones. Wash them. 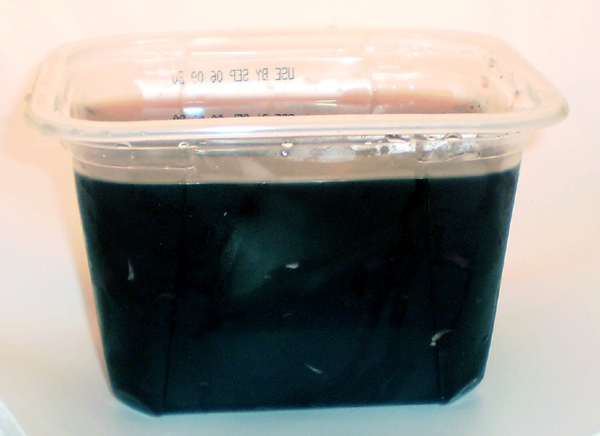 Soak overnight 1 part black bean to 3 parts filtered water. 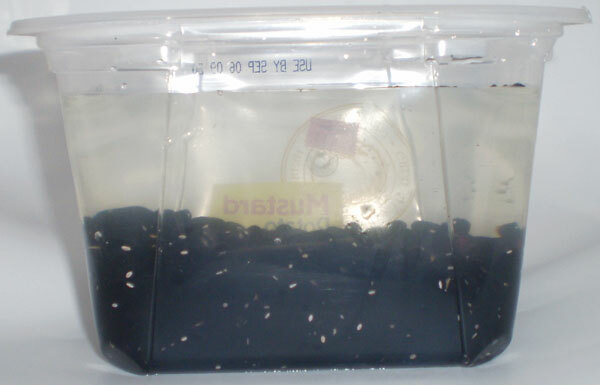 You will find by next day, black beans will expand at least twice the initial volume and the water will be dark. Usually, 1 cup of dried black beans yields 2.5 cups of cooked black beans. Throw or keep the excess water? Beans consist of complex carbohydrates that humans digestive enzyme can’t convert to absorbable sugars, and are passed on to the lower intestine, where the resident bacteria digest them by producing carbon dioxide, which leads to the embarrassing bean related flatulence. The soaked water contains some of these water soluble carbohydrates. Thus, throwing out the soaked water will help making beans less flatulence prone. For the same reason, Goya also recommends discarding the soaking water. 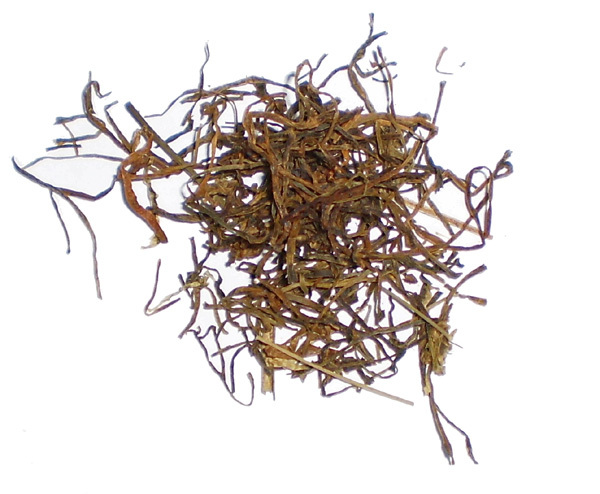 However, the soaked water also contains vitamins, minerals, colorful antioxidant and other nutrients. Instead of discarding soaked water to reduce flatulence, try cooking longer to break those complex carbohydrates or sprouting the beans so that germination consumes the complex carbohydrates. Add 1 part bean to 2.5 parts water for cooking. Cook uncovered in medium heat for ½ hour. Add about 1 teaspoon salt for every cup of soaked bean. Black beans should be cooked by 45 minutes. My taste comparison showed that canned black beans are softer, saltier, and lighter in color with smoky flavors. Goya canned beans may have got the smoky flavor by roasting or toasting its beans before cooking. 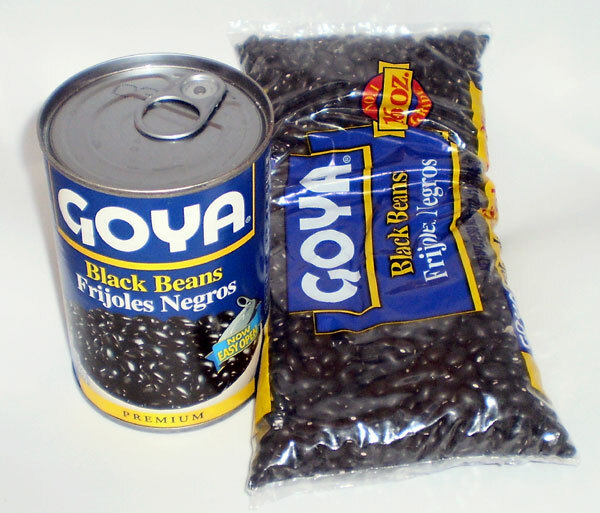 The canned black beans may have looked lighter in color because Goya may have used usual method of reducing flatulence in beans by boiling them in excess water, throwing out the water and cooking again in the fresh water. Please note it often results in loss of natural nutrients. Overall, I was happy with the taste of my homemade black beans and amazed by all small subtle customization I could do to make them healthier and tastier.